Armstrong Commercial Blue 60's & 70's Shock Absorber Stickers. 75mm Pair. 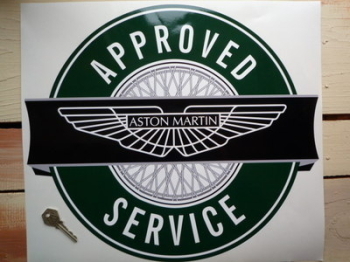 Aston Martin Approved Service Sticker. 16.5". Aston Martin David Brown Sales & Service Sticker. 23.5". Aston Martin David Brown Style Winged Logo Stickers. 4" or 6" Pair. Aston Martin Helmet Visor Sunstrip Sticker. 12". Aston Martin International Trophy Race Winner Art Banner. 20" x 30". Aston Martin International Trophy Race Winner Art Banner. Special Offer to Clear. 27.5" x 42.5". Aston Martin Kangol Style Seat Belt Lift Shaped Stickers. 1" Pair. Aston Martin Lagonda Ltd Recommended Duckhams Oil Under Bonnet Sticker DBV8 DBS DB6 etc. 110mm. 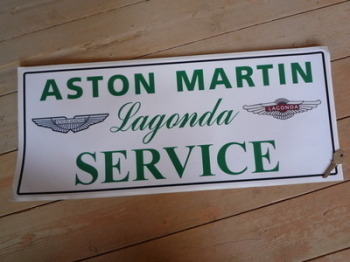 Aston Martin Lagonda Sales & Service Sticker. 23.5". Aston Martin Winged Chrome Style Stickers. 4" Pair. Aston Martin Winged Logo Art Banner. 28" x 12". Aston Martin Winged Logo Stickers. 4" or 6" Pair. Aston Martin Winged Logo Style Laser Cut Magnet. 4", 5", or 8.5". 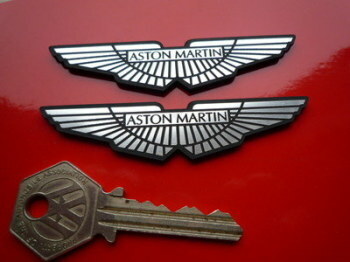 Aston Martin Wings Laser Cut Self Adhesive Car Badges. 3.25" Pair. Aston Martin. Wing Logo Black to Edge Wheel Centre Stickers. Set of 4. 50mm or 60mm. Aston Martin. Wing Logo Black Wheel Centre Stickers. Set of 4. 50mm. Aston Martin. Wing Logo Silver Wheel Centre Stickers. Set of 4. 50mm. David Brown Aston Martin Winged Logo Sticker. 4". David Brown Service Sticker. 23.5". Ejector Seat Style Self Adhesive Laser Car Badge. 25mm.